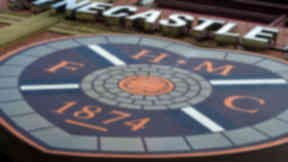 Ukio Bankas want improved offers as Bob Jamieson's HMFC Ltd is ruled out of takeover. 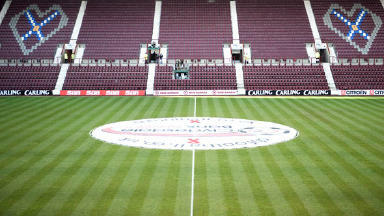 Heart of Midlothian have been hit with a warning that they will be liquidated unless offers for the club improve. Ukio Bankas, which is going through bankruptcy proceedings in Lithuania, is the major creditor of Hearts, with £15m owed to Vladimir Romanov’s failed bank. Any CVA would have to be agreed by Ukio’s administrator Valnetas UAB, but on Monday a spokesman for the insolvency experts issued a statement to the Daily Record and Lithuanian news outlet Delfi that the offers so far to buy Hearts were “not satisfactory”. 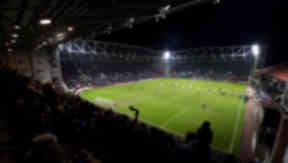 Improved bids from fan-led Foundation of Hearts, US-backed HMFC Ltd and Angelo Massone’s Five Stars Football Ltd arrived with the club’s administrators BDO last week but the offers have been deemed short of the valuation of Ukio. Negotiations will continue with the Foundation and Massone’s bid, but HMFC Ltd, fronted by borders businessman Bob Jamieson, is understood to have officially left the bidding process. Gintaris Adomonis of Valnetas said in a statement that two of the offers would continue to be negotiated. He said: “Ukio Bankas – the main creditor of Scotland’s football club Hearts – obligated the club’s administrator BDO to continue negotiations with two potential investors with the aim to improve financial offers. 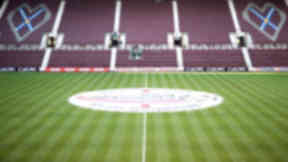 “If no feasible offer with terms and conditions acceptable to Ukio Bankas creditors is achieved, Ukio will remain with the only solution – liquidation of Heart of Midlothian Plc and enforcement of the standard security over Tynecastle Stadium. Ian Murray MP, independent chair of the Foundation of Hearts, said the group would continue their negotiations with BDO as normal. Mr Murray said: "It’s very much business as usual. “We remain hopeful that we can demonstrate to the club’s creditors that our proposal provides the strongest return and carries the lowest risk, in short by far the best solution.